This is a poster advertising the first and only public execution to be held at Armley Jail. 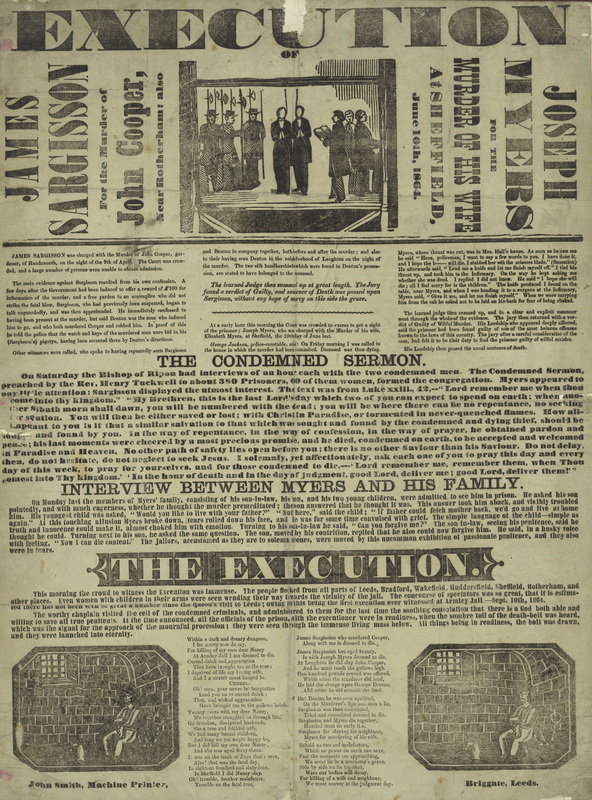 It took place on 10 September 1864 and saw the double execution, by hanging, of James Sargisson and Joseph Myers. Both were from other parts of Yorkshire but were tried at the Leeds Assize Court and found guilty of murder. The poster details the crimes of each men and goes on to report on the ‘condemned sermon’ held by the Rev. 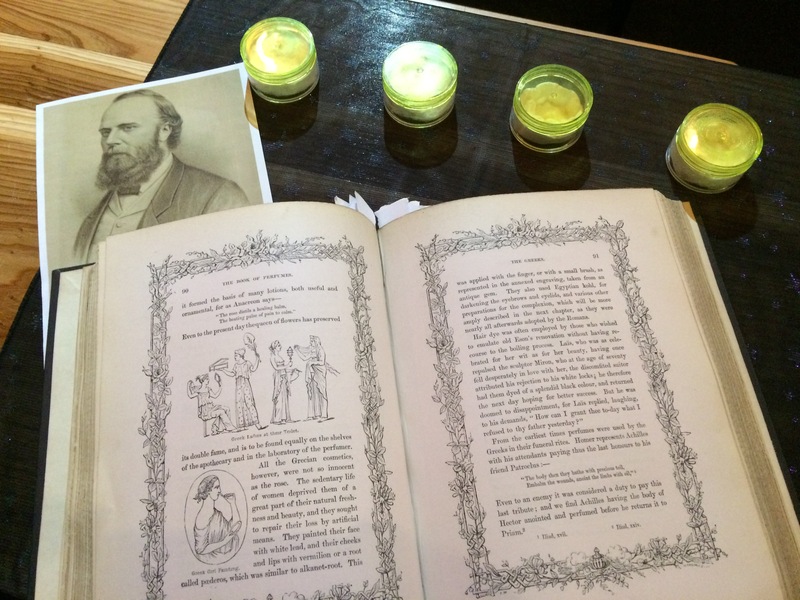 Henry Tuckwell and the last meeting of Myers and his family. It also includes lyrics to a song or poem written partly from the point of view of Myers. The day of the execution saw people visit from all parts of Yorkshire and the Leeds Mercury newspaper estimated crowds of 80,000 -100,000 people attended the spectacle. The poster reports that crowds this large had not been seen since the Queen’s visit to Leeds (presumably in 1858 to open the Town Hall). Wooden stands were erected so that people could pay money for a better view. The scaffold was erected outside the northeast corner of the jail and a large number of police were involved to keep order in the crowd. The prisoner left the jail through a tunnel in the jail wall and at 8.55am the jail bell rang out. By 9.05am it was all over and the crowds dispersed. Armley Jail never saw another public execution although more than 90 executions took place in private within the jail walls. In light of our recent Harry Potter: A History of Magic exhibition, I thought it only fitting to include some of my favourite Divination books from our collections: two small books on Mother Shipton. Life, Death and the Whole of the Wonderful Prophecies of Mother Shipton, published in Leeds in 1869 outlines the 15th Century prophetess Ursula Sonthiel’s birth, early life, community and her famous predictions as Mother Shipton, many of which have since allegedly come true including the Great Fire of London, the defeat of the Spanish Armada and even her own death in 1561. The second book Mother Shipton Investigated was published in 1881, the year she predicted the world would end (although in this book the author claims she never actually foretold that) and details some intriguing accounts of previous end of the world predictions including one outcry in Leeds in 1806 involving hens, eggs and some religious warnings on said eggs! Published in 1865, the The Book of Perfume (Eugene Rimmel) delves into the history of perfumes, cosmetics and related customs and rituals throughout the centuries. It’s a fascinating, beautifully illustrated book with stunning historiated or inhabited initials (I can’t work out which!) at the start of every chapter, depicting scenes which seem to characterise the civilisations it discusses. It details the habits and customs of different cultures and peoples such as the Greeks, Romans, Egyptians, Far East and the “Uncivilised Nations”. The book is peppered with interesting comments, such as that Socrates disliked baths, considering that “cleanliness is no essential part of wisdom” and every page has a pretty floral border and is gilt edged. Rimmel is the man behind the famous cosmetics company House of Rimmel, which he started in 1834. He went on to become a very successful and talented perfumer and a well-known man, receiving Royal Warrants from heads of state all over Europe including Queen Victoria. He is also credited with inventing the first non-toxic mascara. I thoroughly enjoyed spending quality time with this book, and presenting it as part of our Library Treasure events, along with a small selection of scents mentioned in the book for people to identify. My item from our collections for our Speed Dating events is a yearbook for Armley & Wortley Athletic Club Harriers for the 1911-12 winter season. It belonged to a G. Davison, and contains a receipt for his subscription of 2 shillings and six pence. The item is approx. 2” x 3” in size, so ideal for keeping in a top pocket or wallet. It contains everything a club member would need to know, with names & details of the club officers, and location of the club headquarters, dates for forthcoming runs, a list of rules, and at the back some points of advice to members on training and racing. Viewing it provides a delightful snapshot & insight into the world of amateur running just prior to the First World War. 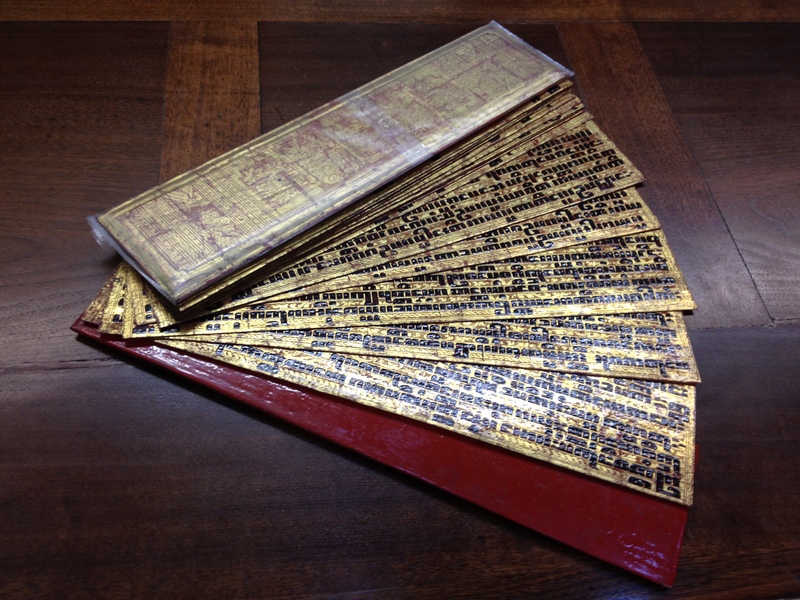 A Kammavaca is a decorative Theravada Buddhist manuscript from Burma (now Myanmar). They are usually commissioned by lay members of the Buddhist community and handed over to a monastery when a son of the community enters the Buddhist Order, either as a novice or becomes ordained as a monk. The word Kammavaca is a Pali term for a selection of passages taken from the sole canonical text of Theravada Buddhism, called Tripitaka. The passages taken from Tripitaka are those that relate to ordination, the bestowing of robes, and other rituals of a monks duties. The manuscripts can be made from various materials, usually palm leaf but also stiffened cloth, or ivory sheets in the shape of palm leaf. The leaves and the boards are painted with a thick layer of lacquer, and gilded gold leaf and red lacquer are used for decoration. 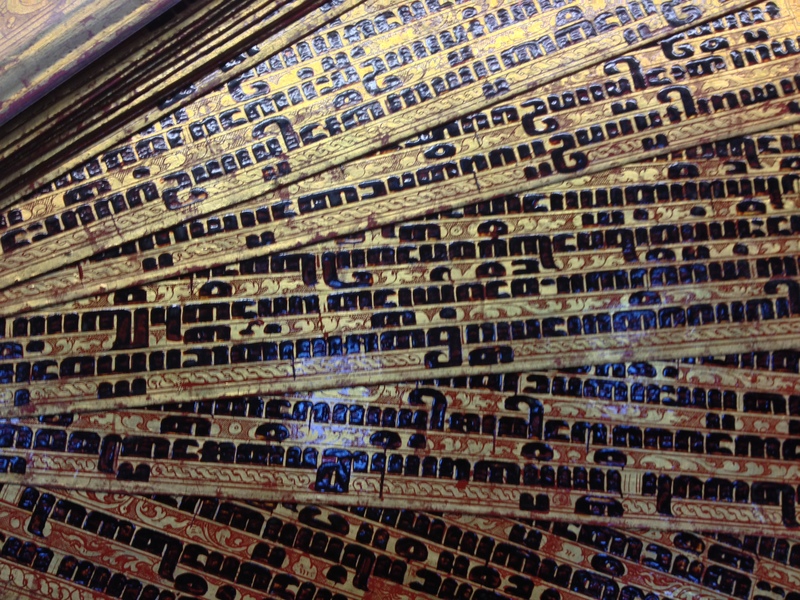 The Pali black lacquer ‘tamarind-seed’ text is written in ornate Burmese characters called ‘square script’, which differs from the usual round Burmese writing. The Kammavaca held in Leeds Central Library is said to be made from the putsoes (like sarongs) of the kings of Burma, and was donated to the library in 1887 by George H Colbeck; a missionary to Upper Burma. This year for Speed Date a Library Treasure I chose a book about the exploits of some of the most notorious pirates, including the famous Blackbeard and the female pirates Anne Bonny and Mary Read: Captain Charles Johnson’s A General History of the Robberies and Murders of the most notorious Pyrates. First published in 1724, our copy is the third edition printed in 1725 which shows just how popular the book was. The description on the inside of the cover of a “vivid and bloodthirsty account of a dozen English and Welsh pirates who had recently been in the news” would be enough to pique anyone’s interest. Captain Charles Johnson is generally accepted to be a pseudonym for another author, with some claiming that the book was actually written by Daniel Defoe. Whoever Johnson actually was, this book provides the best information of the lives and careers of some of the most famous pirates of the late seventeenth and early eighteenth centuries and was influential in shaping popular conceptions of pirates. It introduced many features that we would recognise today, such as pirates with missing eyes or legs, the notion of buried treasure, and the name of the pirate flag, the Jolly Roger. Novelists J. M Barrie and Robert Louis Stevenson both identified General History of the Pyrates as one of their major influences in writing Treasure Island and Peter Pan, which featured the pirate Captain Hook. I enjoyed reading the stories of Anne Bonny and Mary Read, real life female pirates, who both were dressed as boys from a young age and grew up to be as fierce and capable as any of the men. 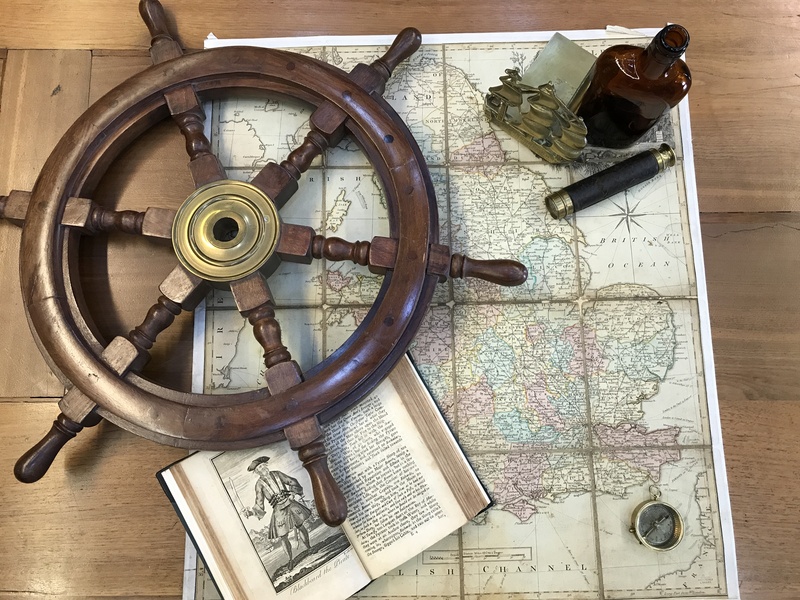 It was interesting to think about the limited opportunities available for young, disadvantaged women with a desire for adventure which might have led them to a life of cross-dressing and piracy. I chose Cromwell: The Campaigns of Edge Hill, Marston Moor, Naseby and of 1648 in the North of England, by Captain P. A. Charrier, Royal Munster Fusiliers. A full description of this book will feature on the blog in the next few weeks. 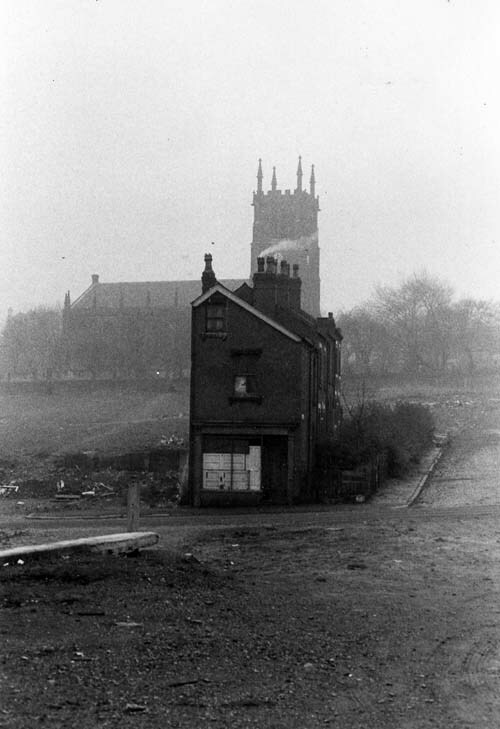 My item this year was a photo album from 1970, showing the Woodhouse area around the time of major redevelopment to housing. I’ve written a bit about this album already on this blog, presenting the collection as a reflection of the ‘community’ demand for recognition of their needs in the midst of those changes – but I had a slightly more nuanced view of the content by the time of Speed-dating III (as well as appreciating the problematic nature of the ‘community’ concept); I see now that the authors of the album were intervening in a wider process, rather than presenting an objective ‘window’ onto the past, and that what they left out is probably as significant as what they left in (residents’ responses to the clearance of back-to-backs were not as clear-cut as you’d gather from the album introduction, for example). That shift in my understanding does not negate the album’s status as a treasure, however – in fact, it possibly elevates it even higher; this is valuable evidence of the area’s now-lost topography, to be sure, but it’s also priceless for anyone wanting a deeper look at those debates surrounding the changes (which is to say: anyone wanting to situate the area and its development in its full and proper historical context, and who understands that this album is not the whole story, by any means). 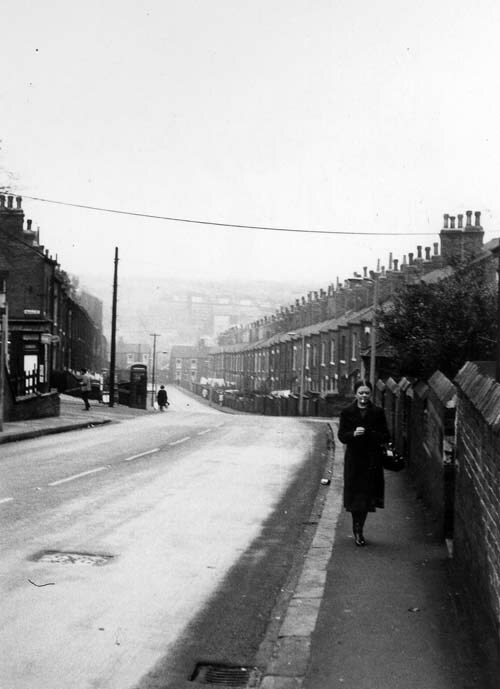 Though I still stand by my (slightly hyperbolic) claim that the shot of Butch and Mates ranks alongside any other photo you can think of as the defining image of modern Leeds. All the images from the 1970 album can be seen on Leodis, albeit separately and mixed in with many hundreds more. To aid browsing of the album we hope to add the entire set to our sub-site, Leodis Collections, in the very near future. Don’t examine that image too closely if you’re of a nervous disposition… It’s the frontispiece from 1801’s Tales of Terror showing a gaggle of ghouls feasting on the bodies of the recently-exhumed dead in a moonlit graveyard. (If you do look closely, however, you’ll spot a cute baby ghoul joining in the gruesome fun!) 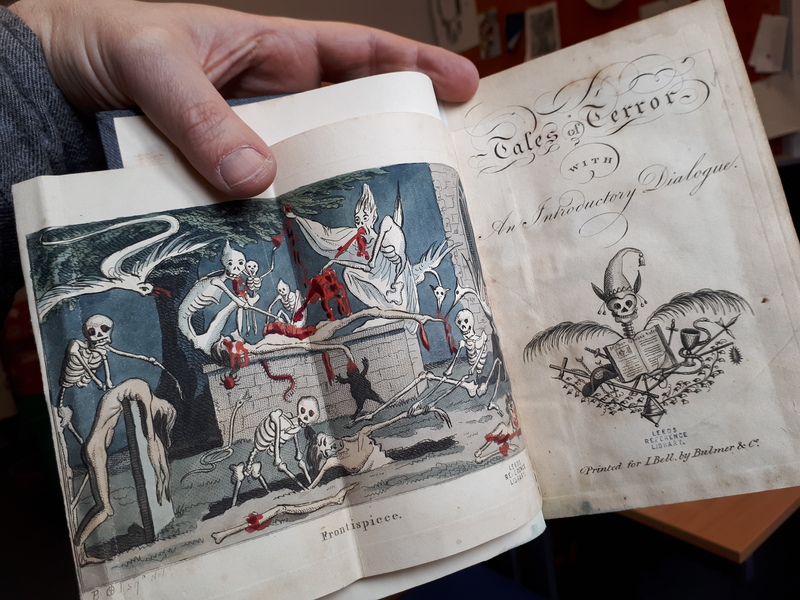 Each edition of this macabre collection of tales was hand-coloured, meaning that some – like ours – are gorier than others, depending on how enthusiastic the artist got with the red stuff. As for the text, it’s arguably the first ever English compilation of horror stories, ranging from “Grim, the King of the Ghosts” to “Red Riding Hood” (a pre-Brothers Grimm version in which the heroine meets a sticky end). Published at the height of the Gothic literature period, its author is uncredited but it’s clearly patterned after the work of Matthew Lewis, who’d had a hit a few years previously with his scandalous shocker of a novel, The Monk. This book was similarly popular and, with its frequently outrageous mixture of nasty surprises and genuinely funny prose, it’s a shame it’s not more widely-known and read today.